Best Milwaukee Area Running Store? When it comes to accessories, it’s always interesting to hear what other outlets (Sam’s club, grocery store, Walgreens) are able to give you a price cut on a product like Clif Bars that the specialty stores cannot. When it comes to shoes and apparel, it’s always interesting to see what the online consumer is able to save if the customer knows EXACTLY what he or she wants at say EastBay or RoadRunnerSports. 17550 B-1 W. Bluemound Rd. 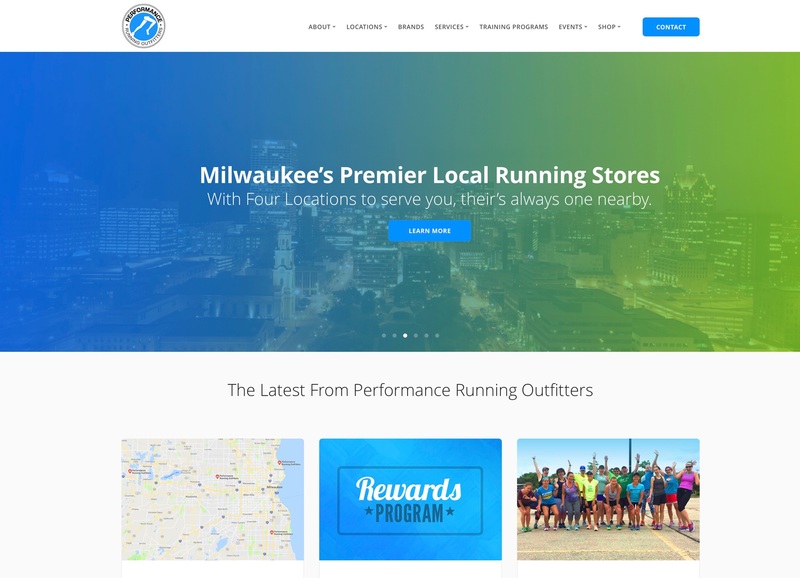 Milwaukee's Premier Speciality Running and Fitness Stores with Four Locations in Brookfield, Delafield, Shorewood and Oak Creek. I had to vote other as there was not a PERFORMANCE RUNNING OUTFITTERS - Shorewood listed. I feel that all of their stores do a great job! I also like the “dividend” like rewards that they do when you spend a certain amount! I like Performance for many of the reasons you listed! PERFORMANCE RUNNING OUTFITTERS at any and all Locations…it’s a no brainer. So I am confused. Has the shop in Shorewood opened up yet? And if so, when? I have only been to Rodiez’s/Eastbay (for you old timers), Instep- Delafield, and Fleet Feet. I really like Rodiez’s. I think they have the best selections of shoes and gear. The other two have very limited options. Tony has always been generous to the high school athletes and coaches with good discounts. His staff is very knowledgeable - the other 2 did have knowledgeable staff as well. This summer I did go to the Eugene Running Company store and was amazed at how small it was with a very limited amount of shoes and gear. They do have a great staff and many events. Zen the Shorewood store has been open for a bit over a year or longer. They are located in a temporary building until the new building on North Oakland is complete. I think in October? I have never had a good experience at the Performance Running Outfitter’s Stores. I am still in belief that we only have two actual running specialty shops in Wisconsin both of which I worked at in my younger years – Rodiez’s in Milwaukee and Movin’ Shoes in Madison. I carry a biased opinion but I am willing to be convinced of additional stores. Performance Running Outfitters in Oconomowoc and Brookfield do not measure up at all in my opinion. In my experience the staff at PRO stores lacks the deep knowledge customers would seek to obtain upon entering a specialty running store and do not provide a classic customer experience. What do I mean by the classic experience? Genuineness, having walked through a haven for runners, and guarantees you won’t be returning what you purchased. PRO looks the part. PRO tries to fulfill the part. But something is missing there. I am not sure if it is the Carthage salesperson types or the aggressive sale tactics but everything seems to be geared toward hurrying you out the door rather than getting a feel for one’s specific needs. I went in during down time in all three of my experiences. If you want a reflexive back in the day conversation about Wisconsin’s running history, need to know the difference between straight last and slip last, the disadvantages of gortex, shoe lace tricks to tighten the heel, differences in cushioning system engineering, replacing older models, etc. you will be missing out going to PRO. Very much on the same level as Flotrack broadcasting where you don’t get a good grade simply by being available. PRO is a manufactured feel. Rodiez’s tests their products. Movin’ Shoes sets trends. In both instances anywhere from a renowned local runner to Olympian type may be the person waiting on you. These are vast differences from the casualness of PRO. The other thing is, those of you who are experienced runners that have found what works can traverse the internet for wonderful deals. I will caution people as the holiday season approaches, however–Ebay is not a place to purchase training shoes. There are some flooring deals on that site but I caution that you are more likely to purchase look-alike shoes that appear real but are not. Almost exact replicas of the real ones! You won’t discover this until about 200 miles in when your shoes crap out.